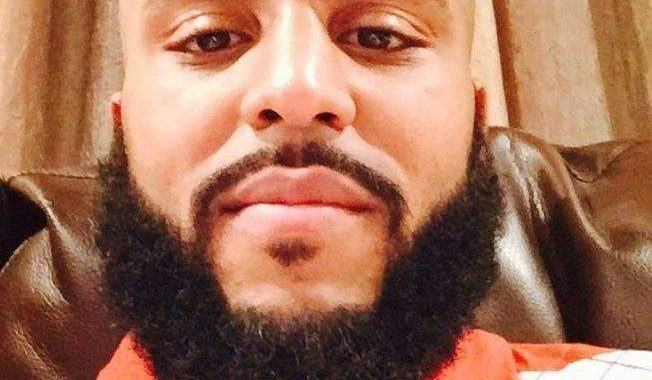 Family members said he appeared to be suffering from post-traumatic stress disorder. 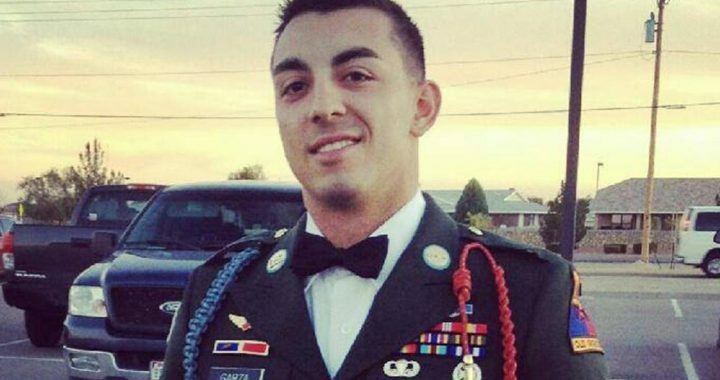 Garza’s mother said the family was extremely tight and he was very “loving,” but his attitude toward life took a turn in the past couple of weeks as he became convinced that the world was ending. “It appears to be someone who was in a mental health crisis,” officials added. Officials should have added, “It appears to be someone who was in a <strong>VA-induced mental health crisis</strong>.” Few are drugged as heavily with antidepressants and other mind altering meds than our military. The next closest runner up for the mass medicating via our tax dollars would be foster children. Both situations are a blood stain on this nation with 22 suicides per day among our vets – most of whom are still in the age group of under 25 who have additional warnings for the use of these drugs producing suicide!!! She was noted for her statement: “We don’t kill ourselves. We are simply defeated by the long, hard struggle to stay alive.” And by the time you finish reading this you will see her statement is clearly correct in her case! Obviously she had too good an insurance plan which continued to pay out for this torture which she endured for years! She is also author of “Shoot the Damn Dog! A Memoir of Depression” …. too bad she remained unaware that the dog that needed to be shot was not depression, but the medication reactions she was led to believe were depression. First she remembers hearing that one in ten would suffer from a mental illness while a recent report stated it had then jumped to one in four. The reason for that huge increase was of course the massive marketing of antidepressants which CAUSE depression, anxiety, suicide, hostility, violent crime, arson, substance abuse, psychosis, mania, organic brain disease (brain damage), autism, anorexia, Alzheimer’s, impulsive behavior with no concern for punishment, ect. via the impairment of serotonin metabolism. INCREASE IN SEROTONIN IS THE PROBLEM, NOT THE SOLUTION! Antidepressants were designed inhibit the reuptake of serotonin or in other words impair the metabolism of serotonin after the world became convinced via mass marketing that serotonin is low in depression, so there is a need to increase that level. When in fact serotonin is actually elevated in depression, and elevated in the long list of disorders mentioned above. What is low is the ability to metabolize serotonin – the exact thing that antidepressants are designed to impair thus worsening all of the above symptoms or causing them!!!!!! As the serotonin continues to be increased the problems become massive. Is it any wonder we now have research indicating antidepressants produce long-term depression?!! Long-term depression and so much more! No wonder the Eli Lilly memo used in the wrongful death cases involving Prozac is so helpful when their own scientists came to their superiors to inform them that they had a serious problem because it appeared that Prozac was actually causing suicide, only to get the reply that the company could not afford to lose Prozac. So they were told to tell patients the suicide was the result of the “underlying depression” rather than the Prozac. So keep that thought about what serotonin has long been known to produce in mind as you read the rest of the quotes from Sally Brampton’s article along with my comments about the side effects of the medications she was having which should have been warning signs of impending more serious reactions…warning signs that could have and should have saved her life!!! My Comment: WITHOUT DOUBT THIS PSYCHIATRIST NEEDS TO BE SUED FOR WRONGFUL DEATH!!! If she quadrupled the dose of any antidepressant she went over the safe theraputic dose, but then she doubled it and doubled it yet again!!! She was literally poisioned! It is shocking that she was able to survive that but can you imagine the tourture it must have been in her mind when she was on drugs that produce all of the above in a regular dose, much less the impact that a dose eight times higher than that would produce?!!! 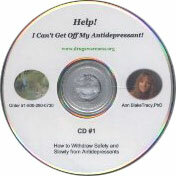 When the FDA put the Black Box Warning on the suicidal ideation increase for antidepressants into effect in 2004 they also warned that any abrupt change in dose of an antidepressant whether starting on, increasing or decreasing or discontinuing the drug, skipping doses by forgetting, or when switching from one antidepressant to another where you are both abruptly decreasing one antidepressant and abruptly increasing the new antidepressant can cause suicide, hostility or psychosis. Withdrawal, especially abrupt withdrawal, from any of these medicatioins can cause severe neuropsychiatric as well as physical symptoms, both of which can be life threatening. So it is amazing she was able to survive that, but what damage must it have done to set her up for serious issues involving all of the effects of elevated serotonin for years to come? “….Reading has always been my greatest joy and most constant pleasure. I have devoured books whole for as long as I can remember. I recall people having to shake me to get my attention when I was reading, remember my taking a book out of my hands and sending me out to play with the injunction to get some fresh air. My Comment: So why did no one tell her what a common side effect this inability to read due to being unable to remember is to antidepressants? I cannot even count the number of times I have heard this reported to me over the past 2 1/2 decades! I hear it so often that I complete the sentence for them as they begin it! ….Even the medical profession finds depression difficult to define or to explain. It is a word of such common currency that it has ceased to have meaning. After months of medication and therapy and two stays in psychiatric units, my psychiatrist admitted that he was stumped. I have something known as resistant depression. In other words, it resists all attempts to alleviate it. TOXIC COCKTAIL – 1300 MGS OF ANTIDEPRESSANTS!!! “We had tried five medications, and two combinations of others. I felt like I was in a sweet shop. Let’s try some of the blue ones. No good? Well, how about some blue with some pink? Or how about a few of the yellow? “At one point, I was taking 1,300 milligrams of anti-depressants a day, on top of tranquillisers and sleeping pills. Somebody diagnosed with mild depression by their GP will probably be taking 20 to 50 mg a day. My Comment: If this was the same psychiatrist that took her up to the 1300mg of an antidepressant he too needs to be added as a defendant in the wrongful death suit! 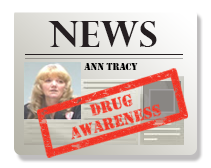 I am so sick of seeing so many senseless deaths all because they do not or refuse to research more about these drugs they hand out, as she pointed out above, like they are candy when they can produce such deadly reactions! .”…..In my twenties, I had bouts of darkness, but they were brief and I shrugged them off fast enough. There is also a history of depression in my family (my brother suffered terribly in his teens). And while depression is not thought to be genetic, it does seem that if there is a familial predisposition, you are more at risk. My Comment: What she is describing as the early waking and familial presdiposition to depression is generally hypoglycemia which has all the signs and symptoms of what we call “depression”. The weak pancreas can run through families. Also when the blood sugar drops in the middle of the night when we are not eating to keep it up, the mind can race as adrenalin kicks in to normalize the sugar levels. Anorexia is also a symptom of hypoglycemia. My Comment: She should have been told that hypothyroidism is a very common after effect of antidepressants. Perhaps hers was low before, but after taking antidepressants it could worsen. My Comment: Once again there was no warning of what I first saw with antidepressants – the cravings for alcohol, the increased drinking, which can also be linked to the hypoglycemia antidepressants produce. My Comment: The main function of serotonin is constriction of muscle tissue. Massage therapists have long told me they know the minute they touch a patient if they have been on antidepressants because their backs are full of knots from their muscles contracting. Patients have long reported the TMJ she is describing here as a reaction to their antidepressants. 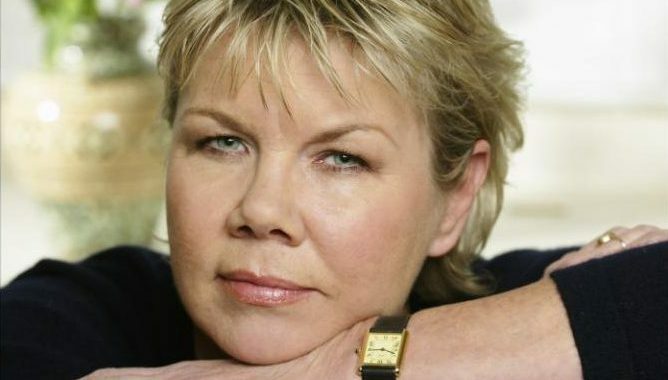 Tributes have been pouring in for Sally Brampton – journalist, editor, author and mother – who tragically died on Tuesday this week, after walking into the sea near her Sussex home. Her death followed a long period of intermittent but severe depression. Here, her former colleague and friend Sali Hughes, reintroduces the groundbreaking article on her illness that she wrote for The Telegraph in 2003. “Though the exact circumstances of her death remain unclear, what is certain is that we diverse sufferers of mental ill health have lost one of our greatest and most articulate advocates. When Brampton, a celebrated editor of glossy magazines (she launched British ELLE, regarded by many as the magazine of the Eighties, and the reason I so desperately wanted to become a journalist), first fell foul of severe depression, her explicit writing took us on the journey with her. She was admirably unkeen on words like “brave” – to her, sufferers of depression were not inherently “strong”, not necessarily “fighters”, but normal people attempting to live with a very difficult illness; much like someone with diabetes or pneumonia. She was equally ?avoiding o?f? mystique, much more interested in being helpful and authentic. “I always think how odd it is that the word honest has come to mean being brave rather than truthful and sincere,” she wrote on her mental health-focused blog, sallybrampton.co.uk. And yet to very many readers, her insistence on discussing an issue affecting a quarter of all people during their lifetimes – and one which, if made public, can jeopardise one’s career prospects or family life – was an act of defiant bravery that gave them the tools and the confidence to adopt a similarly honest stance. She wrote better than almost anyone on emotional wellbeing, long before most of us felt able. Her responses to reader problems as a broadsheet agony aunt were never head-patting nor pitying, while her long running column in Psychologies magazine was warm, matter of fact and wise in a world of wishy-washy wellness and chakra aligning. She described her writing as a form of therapy and had written, as recently as March, of her great happiness in moving from London to St Leonards-on-Sea, and the benefits of sea air, blue skies and barbecues on the beach – without ever pretending she was free from the condition that had either blighted or killed several generations of her family. No one described the horrific, often debilitating condition of depression so gently, accurately nor more succinctly. ‘Exactly one year ago today, I tried to kill myself. Fortunately (or unfortunately, as I felt at the time), I am blessed with an iron constitution. At 3.20am, I woke up. Through some sick irony (who says the heavens don’t have a sense of humour? ), it was the same time, to the minute, that I had been waking for a year before I was finally diagnosed with clinical depression. I woke up because I was desperate for a pee. I got out of bed. My legs buckled beneath me. I could not crawl, let alone walk. Nor could I, at first, think why. What had happened to me? Then I remembered. I had tried to kill myself. I had taken pills washed down with neat vodka. Some shred of forgotten dignity kicked into place. Refusing to die in my own urine, I dragged myself along the corridor on my arms, my legs useless behind me. I don’t know how long it took, but it seemed an eternity. Soon after, I blacked out, then drifted in and out of consciousness for 24 hours. I didn’t call the emergency services. I was too ashamed. It was my final humiliation. I had sunk too low even to stay alive for my much loved and cherished daughter, who, when I was very ill, stuck notes above my bed. She was not with me when I took those pills. She was with her father. Even in my blackest moment, I had that much sense. I also had the sense to know that nobody would find me for three days. In that way, I could have been said to have planned it, but in no other. I left no note, put none of my affairs in order. I remember little of the days before, other than an engulfing darkness. It was not so much that I wanted to die. I just couldn’t bear to be in that place any more. For me, depression was a place – is still a place with which I now have (mercifully brief) encounters. The landscape is cold and black and empty. It is more terrifying and more horrible than anywhere I have ever been, even in my nightmares. It is an abyss, a black hole, a place where nothing thrives, where sound is muffled so as to be unintelligible, where vision is dimmed until it is like seeing through clouded glass. The more I tried to escape, the harder it held me. I could not understand it. I could not recognise myself. People asked: how are you? I did not know. Who is me? I did not have a self to be. I felt nothing. And eventually, I became nothing. When, finally, in the January of 2001, I ended up in front of a psychiatrist, unable to stop crying, unable to function, wanting only to be dead, he said to me that I obviously had a high IQ. Obviously? This pathetic, shivering, crying creature? This person I no longer recognised, let alone understood? My IQ, he persisted, would be down at least 30 points. “Depression,” he said, “literally depresses every cognitive process.” Which is why, when you are in its grip, you can’t concentrate and certainly can’t think clearly enough to find your way out of it. Reading has always been my greatest joy and most constant pleasure. I have devoured books whole for as long as I can remember. I recall people having to shake me to get my attention when I was reading, remember my mother taking a book out of my hands and sending me out to play with the injunction to get some fresh air. When I was severely depressed, I could not even get to the end of a simple sentence because I could not remember the beginning. Words, which I love, were no more than patterns on a page. Writing was nearly impossible. I tried to convince myself that I could still write, and set myself the task of keeping a journal of my days. Looking back, I see it is no more than fragments. One of the fragments is this: It is a beautiful day. I stand on my balcony, high above a busy street, watching life pass me by. It is spring, a time of renewal, of new beginnings. I reach my hand out to the morning, try to imagine happiness, the simple pleasure of skin warmed by sunshine, the quiet joy of trees bursting into green leaf. In my world, there is no colour. The sky is not blue, the trees are not green, the brick of the buildings is not red. Instead, everything is in shades of grey, a flat dull monotone. I exist in a parallel universe. In despair, I turn away, draw the curtains, climb back into my crumpled bed and cry. I do not know what it is I am crying for. Some days, I cry for three hours, five hours. Some days, I never stop. They are not tears that bring relief. They are tears without beginning or end, just as my days and nights are without beginning or end. Even the medical profession finds depression difficult to define or to explain. It is a word of such common currency that it has ceased to have meaning. After months of medication and therapy and two stays in psychiatric units, my psychiatrist admitted that he was stumped. I have something known as resistant depression. In other words, it resists all attempts to alleviate it. We had tried five medications, and two combinations of others. I felt like I was in a sweet shop. Let’s try some of the blue ones. No good? Well, how about some blue with some pink? Or how about a few of the yellow? At one point, I was taking 1,300 milligrams of anti-depressants a day, on top of tranquillisers and sleeping pills. Somebody diagnosed with mild depression by their GP will probably be taking 20 to 50 mg a day. Nothing worked. I shook so badly that I could not walk down the street without holding on to walls or railings. Crossing the road was terrifying. So was going down a Tube escalator. I clung on to the handrail, convinced that I would fall. I could not believe this was happening to me – me, who used to run up and down escalators without a moment’s thought. My tongue was coated a deep dark brown from the levels of toxins I daily ingested. And the tears kept coming. It was as if I held within me a bottomless pit of grief. A friend who had recently survived cancer said that at least some physical force was not invading my body. But I was invaded. I was subsumed. I was laid waste. I did not say so at the time. Illness has no room for competition. But I got so bad that, at one time, we seriously considered electro-convulsive therapy. I said that it seemed to me that we weren’t much further along than Bedlam and leeches. My psychiatrist said that at least we knew what leeches did. This was eight months after that bleak January day, when I admitted I could no longer function. Back then, and it seems like two lifetimes ago, I thought that if I went into hospital, I would become well. I thought a pill could make me better. I thought that I could cure myself. I was angry, furious, that I could not. Right at the beginning, my psychiatrist said to me: “If you had pneumonia, would you try to cure yourself?” No. Why? Because I thought I had control over my own mind. It took a year of waking at 3.20 into the black hell that my life had become, my head filled only with a longing to be dead, to understand that clinical depression (also known as severe or suicidal) has its own pathology. It demands urgent attention and, often, hospitalisation. It requires understanding and what, to those around us, must seem like limitless patience. It is terrible to be around and horrible to watch. It looks, from the outside, like a case of massive self-absorption. It is impossible to explain to others who have not had it how powerless we are over it, how much we do not want to be sick. Here is another fragment from that lost time. A friend telephones to ask how I am. The sun is shining. The sky is a merciless blue. It is only 11 in the morning but I have been awake since 3.20. Now I am back in bed but only because I can think of nowhere else to go. I say that I am feeling low. Low is the depressive’s euphemism for despair, for the enveloping blackness at the bottom of the pit. She says: “How can you be depressed on a day like this?” I want to say: “If I had flu, would you ask me how I could be sick on a day like this?” I say nothing. She means well. There are no words to explain my despair, the depth of my grief. I cannot explain it myself. People send me cards. The images on the front are inoffensive drawings of flowers or bland, abstract art. Inside, they write that they are sorry to hear that I’ve been unwell. That they have always thought of me as, “such a strong person”. My sickness has a moral tone. I am reduced, made feeble. I think, well there is some truth in that. I am a shadow of the self I used to be. When I was younger, I thought I would be the last person to be affected by depression. I was strong, I was confident; I was filled with hope. I was also absurdly successful when I was absurdly young. Looking back, it seems to me that success was my barrier and my shield. Nobody could touch me. But I can see, looking back, the flaws that seamed my soul. In my twenties, I had bouts of darkness, but they were brief and I shrugged them off fast enough. There is also a history of depression in my family (my brother suffered terribly in his teens). And while depression is not thought to be genetic, it does seem that if there is a familial predisposition, you are more at risk. My illness started with early morning waking – a classic symptom. At the time, I thought my head was too filled with thought to be still, just as I thought my diminishing appetite had some other cause. Like being too busy, too tired, too strung out. Food looked appallingly real. I could not swallow, could not force it past the lump in my throat. I grew thin. Everybody told me how fabulous I looked. I smiled and said thank you, and wondered who this stranger was who inhabited my skinny Earl jeans. I had reason to be sad. There was the break-up of a marriage, a move into a soulless rented flat, the absence on some days of my beloved child, a job that went brutally, terminally sour. Reasons enough, but not the reason. Other people cope with such human tragedies daily. Other people do not fall down. I collapsed like a pack of cards. The first blow left me reeling, but still standing. So did the second, and the third. It was the combination that found those fatal, earlier flaws and blew me apart like a seismic explosion. What was once a reactive depression (depression caused by a reaction to life events) turned clinical. Nobody understands why, but once severe depression has hooked into your being, it is incredibly difficult to loosen its claws. There was a physical reason, too. During my first stay in a psychiatric unit, where my condition was diagnosed, I learnt that I have an under-active thyroid. The thyroid, once known as the gland of the emotions, requires careful handling. A little too much thyroxin, a little too little – both have a huge impact on the balance of the mind. It is thought that up to 30 per cent of women in psychiatric units (low function is more common in females) suffer from an under-active thyroid. There are, as my psychiatrist told me, no miracle cures for depression. Before I was admitted to hospital, I was taking a small dose of anti-depressants, prescribed by my GP. I had been to see her when my early morning waking began. My psychiatrist quadrupled the dose. Then doubled it. And doubled it again. The side effects were horrible. I gained more than a stone in six weeks. My vision was blurred; I became dizzy if I stood too quickly; my hands shook so badly I could not carry a cup of tea without spilling it. Other side effects were constipation and acne. So much for happy pills. Anti-depressants do not, as most people seem to assume, induce euphoria. They simply reduce acute symptoms from unbearable misery to manageable sadness. They are useful but not a universal panacea. By then, I knew that I had to help myself. I tried everything I could think of. Exercise is useful in alleviating depression. I forced myself out of my flat every morning, went running in the park, no matter what the weather. I wore dark glasses to hide the tears that streamed down my face. Yoga is good, as are acupuncture and massage. I took up all three. Bananas are said to be a good mood food: they activate tryptophan. I swirled them together with milk and honey, gulped my daily morning drink like medicine. I had twice-weekly sessions of intensive psychotherapy. In the course of my illness, I saw four psychotherapists and sacked every one – not because they were bad, but because I loathed the process. All I talked about was me. Me, me, me. It bored me literally out of my mind. While one part of me talked, the other mocked. Get over yourself, it said. Stop snivelling. Stop complaining. Stop whining. Still the mist came rolling in, grey and leaden as rain clouds. I drank too much alcohol. Not for the taste of it, but to blank out the restless terror, the terrible, impending sense of doom, the tears that saturated each and every day. Alcohol is in itself a depressant. I knew that. I also knew that it was the most effective anaesthetic I could find. I took yet more pills, more medication for my joyless soul. They did nothing. I felt, if that was possible, worse. I was admitted to hospital again. I sat in group therapy, listening to other people’s pain. I felt I had no right to be there. I had no reason to be sad. Everybody else, without exception, feels that way, too. Other people have problems. Other people are worse off. Other people do not weaken. They bend, but they do not snap. Not in the way that we have done. We are guilty – of indulgence, weakness, self-pity. It took me two stays in hospital and two long years living with severe depression to come to understand it as an illness. Some of us never see it that way. Some of us are never allowed to. Some of us suffer in terrible silence, too ashamed, too filled with self-loathing, too afraid to admit to what society sees as a weakness. Some of us kill ourselves. The fatality rate is 15 per cent. We’ve heard it all. From friends, from family, from meaningless strangers. But, mostly, from ourselves. I did not, could not, blame anybody who offered me such advice. It was no more than I told myself daily, even hourly. I developed terrible pains in my face. It took me a long time (and a dentist) to realise it was because I kept my jaw clamped tight. I was gritting my teeth to get through the days. Only once did I answer back, when the day was ebony black. It was a bloke on a building site, just trying to be cheery, just being normal. I might just as well have hit him, so great was the recoil. He was 6 ft tall and built like a s—house. He held up his hands beseechingly and he blushed. He said nothing. Nor did I. I was trying too hard not to cry. Tears are not welcome in public. There were men like him in the hospital. One was a cab driver, huge and burly. He looked like a hard man but he cried like a baby. “I don’t understand,” was all he said as tears fell, unchecked, down his face. The group murmured in assent. Nor did we. Nor do we. And there’s the catch. I remember, a long time ago, reading that one in 10 people would suffer from a mental illness in their lives. I looked around the office in which I worked (there were 30 of us), and decided on who it would be. I was not on that list. And now, a new report maintains that one in four of us are at risk. The physical symptoms of severe depression are as wide-ranging as they are confounding. There’s a terrible leaden weariness, which is often followed by acute restlessness, palpitations and sweating. My particular physical symptom was a constriction of the throat. It felt as if I had some huge growth behind my tonsils, which, at times, became so severe I could not swallow and I feared I could no longer breathe. It has a name, globus hystericus, given it, unsurprisingly, by Freud. I called it the throat monster, imagined it as a claw that sank itself into my neck. It had no body, just a massive scaly tail that wound around my neck and throttled me. What astonished me then, and is something that nobody ever mentions, is the alarmingly physical nature of depression. It is not simply the mind, but the body that is affected. Both go dreadfully out of control which is why, at its most acute stage, severe depression manifests itself as a nervous breakdown. Time, medication and therapy will eventually show their benefits, and while there is no empirical evidence to prove this, it is said that the average cycle of depression lasts for two years. For some people, it never improves; their condition remains chronic. For others, it may be quicker but for most of us the light returns slowly but steadily, although the chance of a relapse is horribly real. I began to emerge from the illness last summer. My recovery came in fits and starts. To begin with, I dared not even admit I felt happy, in case the sensation was snatched away. But I do feel happy – not all of the time, but at least some of it. I realise I do still have the capacity for joy. I look back at myself, at those years, in horror and sadness. It is as if I lost two years of my life. I still get occasional black days, when the terror and hopelessness crowd everything from my mind and close down the world until it stops. On days like that, if my daughter is not with me, I go to bed. In that state, I would not wish myself on anybody. Difficult, but possible. These days, I take things day by day. Some days are bad, but most are good. 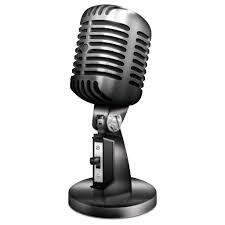 I am halfway through a new novel (my fifth), working on a screenplay and writing journalism. The joy of being able to write again is indescribable. I am making my way steadily through a large pile of books by my bed – all the novels I was unable to read when I was ill. But what pleases me most is that, for one whole year, I have not wanted to die. It sounds absurd but every morning, when I wake up, I feel proud. On and off antidepressants for six years (the worst way to take antidepressants) this father demonstrates a perfect example of both the homicidal ideation and suicidal ideation associated with the use of antidepressants. Homicidal and suicidal ideations are not just thoughts or actions involving homicide or suicide, but obsessive and compulsive ruminating thoughts of killing others or oneself. 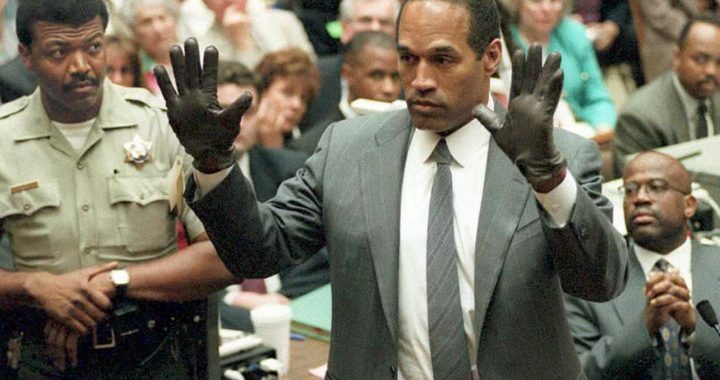 This man made 10 trial runs. And he was so determined to die and have his family die with him that he planted bombs in the car as a back up to insure that. 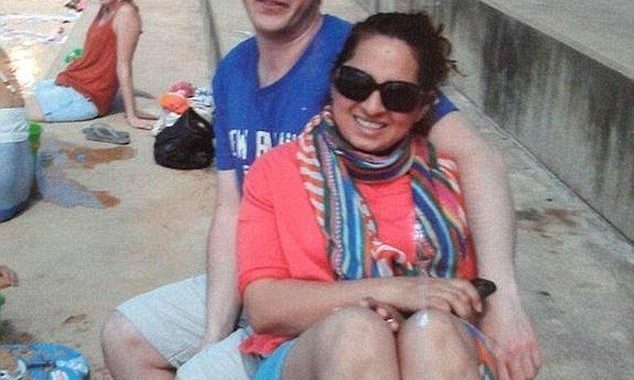 Daren and his wife Susanna and their unborn child died instantly. Liam died after paramedics worked on him at the scene. Little Benjamin was the only one to survive the crash. But he had such serious injuries he had to be put in a drug-induced coma for a period of time. There is an inquest report in the article below and several additional articles listed below that for more information on this tragic case. “The inquest at Wyong Local Court also heard that Mr Milne had been diagnosed with “some kind of depression or ADD” in 2007 and had intermittently taken medication since then. See the highlights in the article below…How many are aware that most pain killers are also serotonergic medications and interact with antidepressants which are also often given for pain thereby increasing serotonin to dangerously high levels? Although initial reports were that Prince had died of the flu, today those reports are saying he had been treated for “flu like symptoms” which I do hope you all know can be caused by any of these serotonergic drugs which the opiates are as well as the antidepressants. Serotonin’s main function is constriction of muscle tissue. It is a vasoconstrictor and also constricts the bronchial tubes leading to asthma and other similar lung conditions. Serotonin can shut down the lungs can go on to produce death via multiple organ failure when the level goes too high as is the case in Serotonin Syndrome. 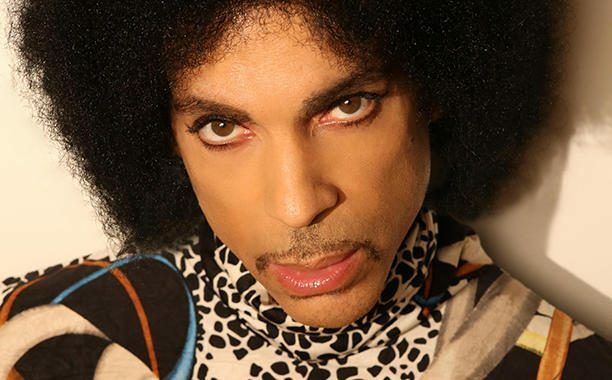 “Prince overdosed on Percocet — a narcotic painkiller — days before his death and emergency medical workers had to give him a “save shot” to save his life at the airport where his plane made an emergency landing, according to a report. “The singer’s entourage told medical responders he had taken the painkiller after his Atlanta concert — triggering the emergency in Moline, Illinois, TMZ reported. Sadly as a vegetarian Prince should have lived much longer, but although he had learned to watch his diet closely and as a Jehovah’s witness knew enough to avoid blood transfusions, he had apparently not learned to say NO to drugs and the doctors who peddle them to everyone for any reason via some of the most elaborate tails ever dreamed of as they have turned so many into walking pharmacies. It appears he too has fallen victim to this chemical nightmare. Due to the problems with over medicating people in this country this information would cause me to ask what else he might have been taking – of course we will have to wait weeks to find that out. ANNA NICOLE SMITH’S 20 YEAR OLD SON DANIEL? 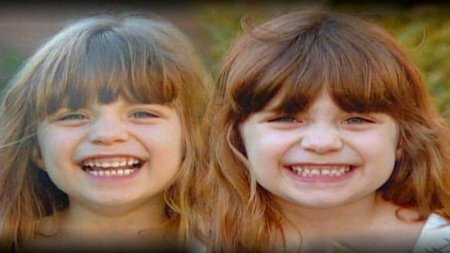 MATTHEWS, N.C. — Ten years ago, much of Charlotte was in shock after a Matthews banker was arrested for murdering his twin daughters. David Crespi’s life behind the barbed wire of the Albemarle Correctional Institution has included a variety of prison jobs from chapel clerk, to helping inmate get their GEDs to working as a geriatric aide. He is visited frequently by his remaining children and his wife, Kim, who drives to the prison to see him every two weeks. While David Crespi declined a Channel 9 request for an on-camera interview, he and his family appeared in a Danish documentary in 2013, in which he insisted, as he has for years, that his decision to chase his young daughters through the house before stabbing them a total of 32 times, was the result of a psychotic episode brought on by prescription medication he was taking to treat depression. 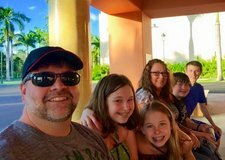 David Crespi’s wife, Kim, has spent years trying to convince the world around her that it was bad medicine, not a bad man that killed her twins, who would now be 15 years old. She provided Eyewitness News access to photos, showing a smiling David Crespi with both her and her children during Christmastime visits. “It holds no water with me,” said Marsha Goodenow, the former Mecklenburg County prosecutors that handled the Crespi case. She said in interviews with detectives, David Crespi admitted that for 10 years, while he was both on and off prescription medications, he had fantasies about killing his wife, children and strangers. She bristles at the suggestion that he is a victim. “Even if you believe he is not a threat to the general public, he still has to be punished for murdering two 5-year-old girls,” Goodenow said. 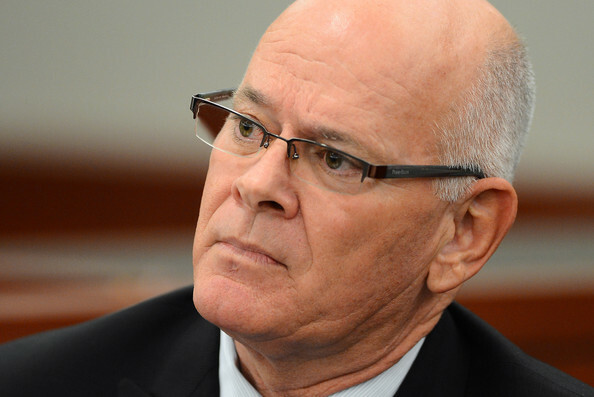 As he begins the second decade of his life sentence, David Crespi is “hopeful,” he writes, “that one day, all will understand” what drove him to a murderous act few can even begin to fathom. If you, as President Obama, think the violence we are seeing is a gun issue …. Think again! Take a look at this 2001 case in Japan where 8 children were stabbed to death and many more injured….You will also see why the option of overdosing on an antidepressant is not only dangerous for you, but for everyone around you. Columbine Mark Taylor joins me in this Fox news interview about several other cases you will find very interesting even if you have heard about them before, including the Wyoming mass murder case involving the Donald Schell family where Paxil was found guilty of this murder. CHOOSE HEALTHY ALTERNATIVES, NOT DRUGS! Ann Blake Tracy …. One of my most favorite of lectures given at the Young Living National Convention – Salt Lake City, 2003 with other speakers such as Dr. Joseph Mercola and actor Clint Walker perhaps best known for his roll in the Western TV series Maverick. 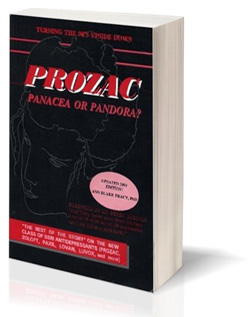 You are guaranteed to learn much you have never heard before about antidepressants even if you have read my book, Prozac: Panacea or Pandora? – Our Serotonin Nightmare! 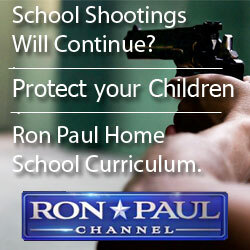 SCHOOL SHOOTER AND SCHOOL SHOOTING VICTIM JOIN FORCES TO WARN – STOP DRUGGING YOUR CHILDREN!!! Corey Baadsgard, almost a school shooter and Mark Taylor, first boy shot at Columbine join together in a TV interview on school shootings and antidepressants.